When my son was first diagnosed with head flattening his pediatrician told me not to worry or be concerned. She said it was “just a cosmetic issue” and tried to reassure me by saying his head shape would improve with time. But if not, she said “eventually hair will cover it up”. And unfortunately, this is the stance that many pediatric primary care providers take when they do not have adequate training in Flat Head Syndromes*. They say it is “just cosmetic”, tell the parents to do more tummy time, and move on. But as I’ve come to learn, plagiocephaly is not only a cosmetic issue. Yes, there is a cosmetic component to one’s head shape. Most people care how it looks from an aesthetic standpoint. But more importantly, researchers are starting to understand how head flattening can affect other craniofacial systems that can then contribute to ongoing health issues. It has long been noted by physicians that children with head flattening also tend to develop facial asymmetries. In 2014 Moon and researchers quantified these common observations and found that deformational forces on the skull contribute not only to head flattening but also to facial asymmetry1. They stated that facial asymmetries in infants with plagiocephaly are caused by an overall skeletal distorting force that changes the facial axis. As the skull begins to flatten on one side of the head, facial features can by pushed out of alignment. The result is that over time the jaw, nose, eyes, and/or ears may begin to look lopsided. Although some may consider this a “cosmetic” issue, there is evidence that asymmetrical facial features can create significant, long-term health issues especially in the jaw, eyes, and ears. One of the craniofacial features that is impacted the most from head flattening is the lower jaw1. For decades clinicians and researchers have observed a high incidence of deformities in the lower jaw amongst babies with plagiocephaly 2–4. However, an uneven, crooked, or asymmetrical jaw can be much more than an appearance issue. In a 2008 study Lee and researchers looked at children with plagiocephaly 5 years after use of a remolding helmet. The researchers’ dental observations indicated the possibility of occlusal abnormalities (i.e. misalignment between the upper and lower jaw often known colloquially as over/under-bite or cross-bite). They concluded that this may affect dental, especially orthodontic, diagnosis and treatment planning 5. 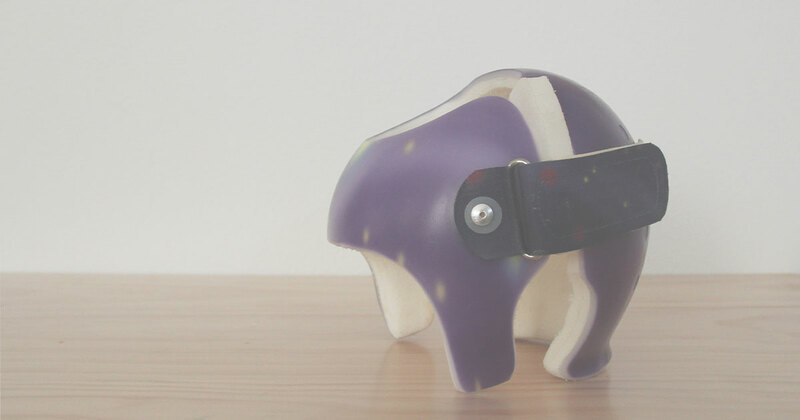 In a 2016 study by Kluba and researchers they compared orthodontic abnormalities in children treated by helmet therapy for plagiocephaly and non-affected children. They found that children in the plagiocephalic group showed more orthodontic issues compared to the non-affected group6. Notable orthodontic conditions included: Class II malocclusion (36 vs. 14%), an edge-to edge bite (28 vs. 12%), and deviations of the midline (38 vs. 16%). They concluded that flat head syndromes may be associated with a higher prevalence of occlusal abnormalities. Another facial feature that appears to be impacted by head flattening is the eyes. Although Moon and researchers didn’t find there to be much orbital asymmetry with patients in their study1, there may be other factors in play that influence visual development of children with head flattening. Noted visual abnormalities in children with plagiocephaly include astigmatism, delayed visual field development, and strabismus. In a 2003 study by Gupta and researchers they found that children with head flattening have an increased prevalence of astigmatism7. Of the children with deformational plagiocephaly, approximately 24% (22/93) had some form of astigmatism: 8 of 93 patients (9%) had unilateral astigmatism (affecting one eye) and 14 of 93 patients (15%) had bilateral astigmatism (affecting both eyes). 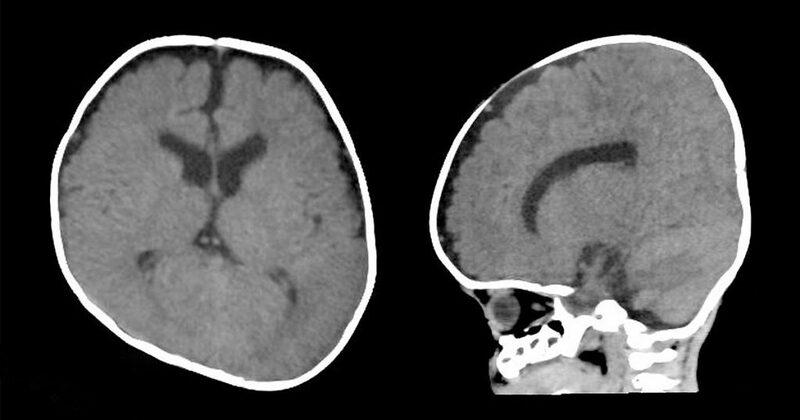 In 2005 a study was conducted by Siatkowski and researchers to see whether visual abnormalities occur in infants with head flattening. After reviewing charts of 40 infants with deformational posterior plagiocephaly they found that 35% of infants (14/40) had visual abnormalities (defined as constriction of one or both hemifields by at least 20 degrees)8. Siatkowski and researchers suggested that head flattening may affect visual field development as there are notable incidences of visual field constriction in patients with head flattening. However, they were uncertain as to whether the visual abnormalities were due to head flattening or delayed progression of visual field development, whether attributable to the plagiocephaly or to some global developmental delay. A 2007 study was conducted by Ricci and researchers in which infants with different forms of head flattening were given visual assessments. The children with plagiocephaly showed a prevalence of strabismus and asymmetrical visual fields. Of the infants with head flattening, abnormal eye movements were found in 55% of cases (6/11) and visual field abnormalities were found in 45% of cases (5/11) 9. Currently, there is mixed evidence that plagiocephaly and auditory problems are linked. In 2002 Balan and researchers examined the auditory functioning of infant patients with plagiocephaly by playing tones (P150 and N250) and measuring their brain wave response to the stimuli. The infants with plagiocephaly exhibited smaller amplitudes to the tones than the healthy controls. Based on the results, researchers suggested that infants with head flattening may have an elevated risk of auditory processing disorders. They found that the central sound processing mechanisms were affected in children with plagiocephaly 10. A similar study was repeated by Hashim and researchers in 2014. The researchers played tones (P150 and N450) and measured the brain wave responses of the infants. Data revealed that infants with plagiocephaly and normal patients showed similar responses to the tones being played. The researchers concluded that there were no significant auditory processing impairments in infants with plagiocephaly 11. Gupta PC, Foster J, Crowe S, Papay FA, Luciano M, Traboulsi EI. Ophthalmologic findings in patients with nonsyndromic plagiocephaly. J Craniofac Surg. 2003;14(4):529-532. https://www.ncbi.nlm.nih.gov/pubmed/12867869. Balan P, Kushnerenko E, Sahlin P, Huotilainen M, Näätänen R, Hukki J. Auditory ERPs reveal brain dysfunction in infants with plagiocephaly. J Craniofac Surg. 2002;13(4):520-525. https://www.ncbi.nlm.nih.gov/pubmed/12140415.